(CN) – As lawmakers rush to pass anti-predator legislation, the United States Fish and Wildlife Service has proposed a release and translocation plan to help a struggling population of Mexican wolves. 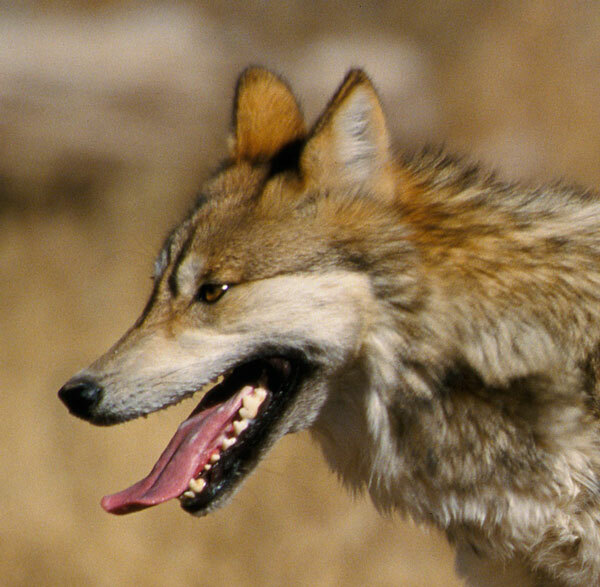 The agency’s plan must now navigate a minefield of proposed bills, an injunction, and rampant anti-predator sentiment prevalent in the new administration to help a struggling experimental population of critically endangered Mexican wolves in New Mexico and Arizona overcome a genetic bottleneck in an effort to recover the species. The Mexican wolf is the rarest subspecies of gray wolves, and is one of the most endangered mammals in North America. The agency’s plan outlines proposed actions to help rebuild the experimental population being established in the Mexican Wolf Experimental Population Area (MWEPA) in New Mexico and Arizona. The agency has proposed the plan in response to a court ruling on a lawsuit filed by conservation organizations. The population was founded on only seven wolves because the species was nearly wiped out in an aggressive poisoning and trapping program from 1915 through 1973. As a result, the population requires careful management due to a genetic bottleneck. For that reason, a captive-breeding program to increase genetic diversity has provided pups that are introduced into dens in a process called cross-fostering. The proposed plan calls for more pups to be introduced into the existing packs that occupy one small section of the MWEPA, but it also proposes to release an entire pack into the Gila Wilderness in New Mexico. Last year, New Mexico secured an injunction and a declaratory ruling allowing the state to stop the agency from releasing any more wolves in the state. The agency is currently appealing that ruling, and the Center for Biological Diversity (CBD) and three other conservation groups have filed a motion to intervene in the case, the CBD said. Earlier this month, Arizona Republican Senator Jeff Flake introduced legislation to give Arizona, New Mexico and ranchers authority to set the terms for Mexican wolf recovery regardless of the scientific requirements of the Endangered Species Act, according to the CBD. In a little over a month into the new administration, many actions have been put forward to thwart efforts to save wolves and other endangered species. In January, senators from Minnesota, Wisconsin and Wyoming introduced legislation (S.164) to allow trophy hunting and trapping of wolves in those three states plus Michigan. Earlier this month, Alaska Representative Don Young introduced House Joint Resolution 69 to remove protection for wolves and bears in his state’s national refuges, allowing the return of brutal practices such as killing denning wolves and their pups, trapping, baiting and using aircraft to kill bears, including mothers with their cubs. “Voters deserve better from this Congress. Is running roughshod over public lands and targeting mother bears and wolves and their young on lands specifically set aside as wildlife refuges really a priority for legislators given the many challenges facing our country? Americans expect our national wildlife refuges to be managed for their conservation values for all wildlife, not just those species of particular interest to a few,” Jamie Rappaport Clark, president and CEO of Defenders of Wildlife said. The public can comment on the agency’s wolf release plan by March 8. ← Selma Fees Too High for Historical Groups?